The game follows a basic structure: the player chooses a leader, a desired map and enters the battlefield. The battle takes place in a square grid where each unit occupies one square. Each unit can move up to a fixed amount of squares along the battlefield and perform one action: attack, cast a spell and defend. Victory is achieved when all enemy units have been destroyed or their headquarters is captured. 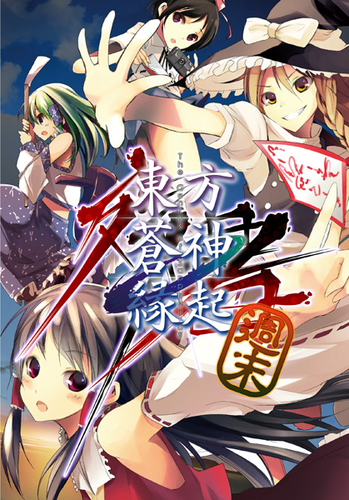 Patche Con Wars formerly was a free browser game, and the Reitaisai version requires the Adobe AIR application. The game features 24 playable leaders and 30 stages in campaign mode. There's a rumor about a precious item located inside the hidden forest. To unravel this mystery, Marisa and Alice start off their investigation into the forest by using clues from a Mysterious Grimoire. The game focuses on directing a horde of puppets, which are used to collect items, destroy obstacles, and fight giant monsters. Puppets appear in a variety of colors, which signify the puppets's abilities and resistance to environmental hazards. During missions some puppets also become stronger by collecting power-ups and shield.Game time is divided into single days, in which the player is encouraged to accomplish as much as possible before sunset. Note: if you don't store the puppets away before night time you will lose them. Iku Nagae has been kidnapped by a mysterious UFO, and Tenshi gets help from other characters to track down the UFO that kidnapped Iku. Formation is the crucial role in the game and sometimes can determine player win or lose against the bosses. Tendou Blade also have unusual leveling up system where progression is based on increasing individual statistic (skills, rank and other features) of the character, and is not driven by the acquisition of (general) experience points. Each character's stat is randomly increased every time the party wins a battle. The distribution of the increase in stats is different for each character, and the player cannot decide what the stat distribution for each character will be. Cirno Senki - Gensou no Keifu Gaiden, literally translated as Cirno's Military History - Lineage of Fantasy Story, is a tactical role-play game, and the second entry in the series after Gensou no Keifu - Hajimari no Miko (Comiket 83, 2012). 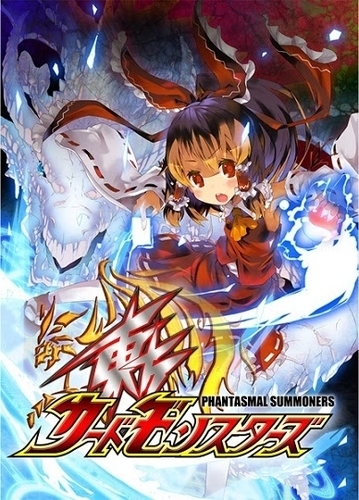 Players assume the role of Cirno and Daiyousei, and the gameplay revolves around tactical movement of characters across grid-based environments. There are two game modes; Casual, an easy mode where player's defeated characters can be used in next mission, and Classic, a hard mode where the defeated team members can't be restored. While incorporating a story and characters similar to those in a more traditional role-playing video game, Gensou no Keifu series incorporates affinity system, where each character has more affinity to a specific element, so it is vulnerable to others. In Gensokyo magic is considered outdated and people are starting to use monsters in battle. 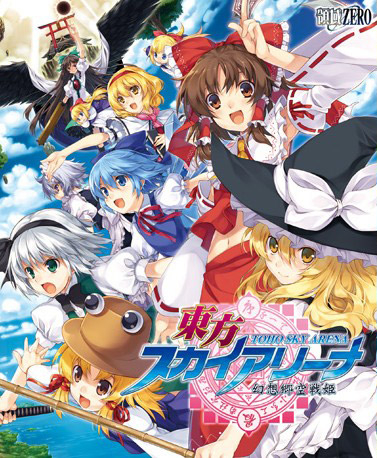 Developed using same game engine as Touhou Soujinengi, Touhou Monsters Card is a mini RPG where the player will travel to various places and dungeons to collect more than 400 monster cards. The battle system shares similar mechanics with the Saga and Pokemon series. When there are no monsters in a player's field, they'll receive a direct attack. Monster cards can be obtained by winning battles or exploring available locations. The developer also provided online features and allows player to duel via their Twitter account. Spring has come to an end. However, without any news, Hieda no Akyuu suddenly disappeared from the village. Fujiwara no Mokou begins her journey with the hope of finding a solution to this problem. EST is a role playing game with the gameplay is based on The Ancient Land of Ys, the first installment of Ys developed for Famicom in 1987. 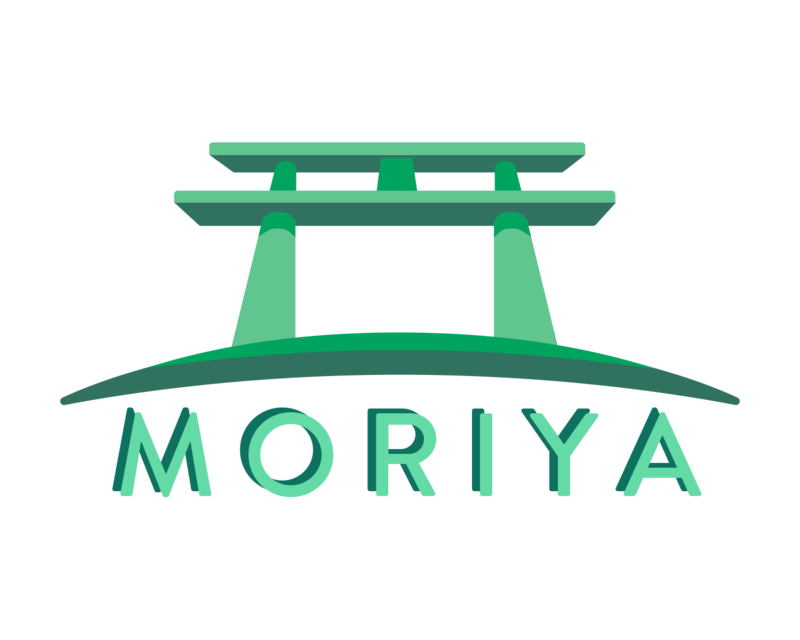 The player is represented on screen by Mokou who starts in human village, talk to people and set oneself up for the coming adventures. The combat is trivial, as player simply moves and ramms into enemies, if Mokou can't survive combat with a single creature she just needs to run off to a safe corner and stand still for a bit and her hit points will recharge fairly quickly. Outfitting oneself with armour, shield and weaponry is vital, as outside of town, all creatures are fair game to the player. Suddenly, a poisoning phenomenon hit the Scarlet Devil Mansion and has made all the inhabitants ill, except for Patchouli. So she converts her library into a laboratory in order to make the antidote. The game is centered around collecting ingredients, usually outside of town, combine them in recipes to create better items through alchemy to progress further in the game. The game features a turn-based combat system where all allies can attack, defend, use items, or flee. By winning battles, Patchouli earns experience points and she has an opportunity to reveal new recipes by reading books. Player can earn money by completing tasks from clients, however, the game purpose is to help members of Scarlet Devil Mansion recover from food poisoning.